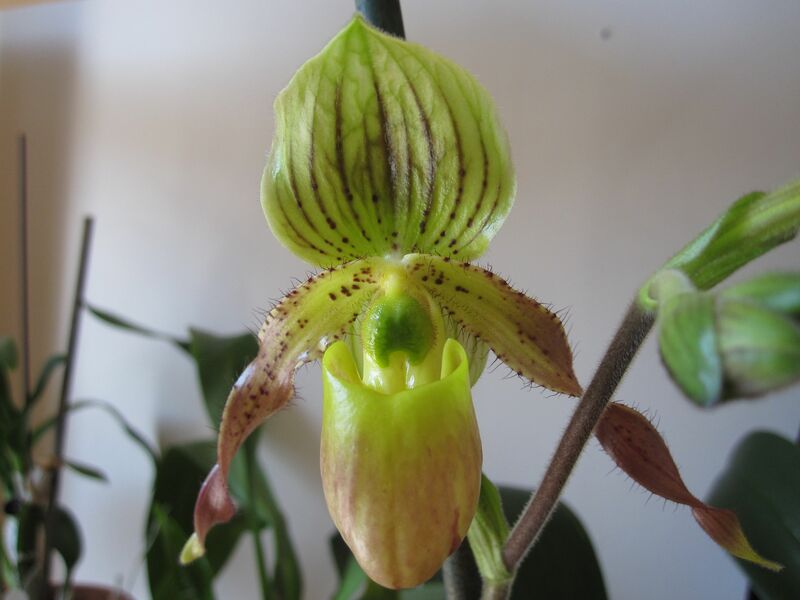 That’s the Paph that I bought at Ikea over a year and a half ago as a housewarming present to myself when my boyfriend and I moved in together. I am seriously thrilled that not only have I not killed this one, managed to keep it going long enough to spike and then bloom. It also has two new growths at the base, so things are looking good for this lady slipper. 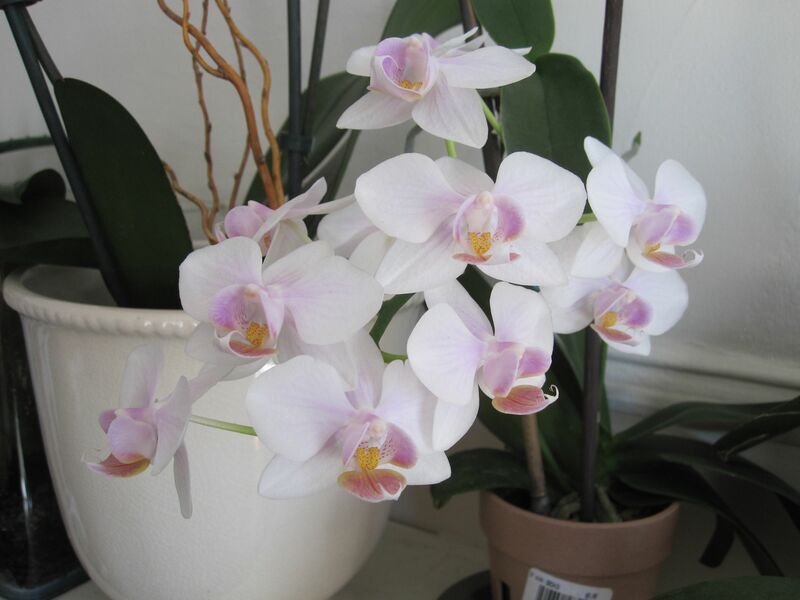 Phal from Trader Joe’s…so many flowers on this one! This is actually a bloom on a keiki still attached to the mother plant! It has 2 blooms. This Dend hasn’t bloomed for me since I bought it, so I’m dying to get this one going. Wish me lots of blooming luck! 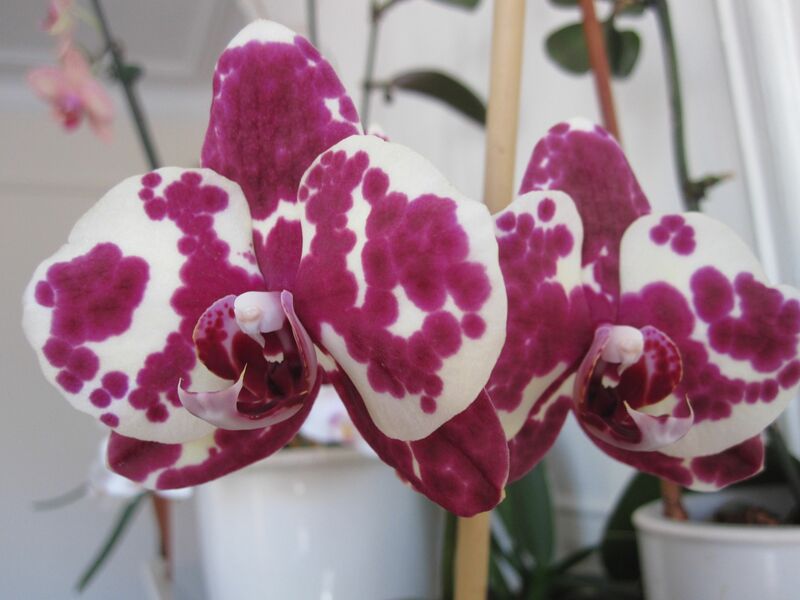 They are beautiful, I have the exact one you got for your birthday which is also in bloom now, yea for us. 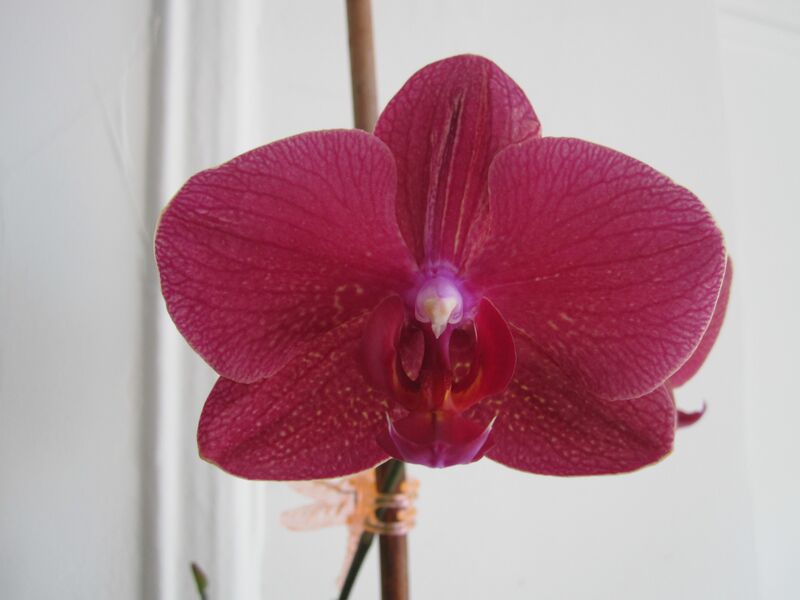 I would love to get a red orchid , no matter how hard I try , I am not lucky enough, hopefully I will get one at the flower show, your doing a wonderful job with your orchids keep it up. How do you get them to put out kieki? My never does. I used Keiki Grow Paste, which you can read about here, here, and here. It’s not cheap, but it’s definitely gotten me some results! Great Collection!! 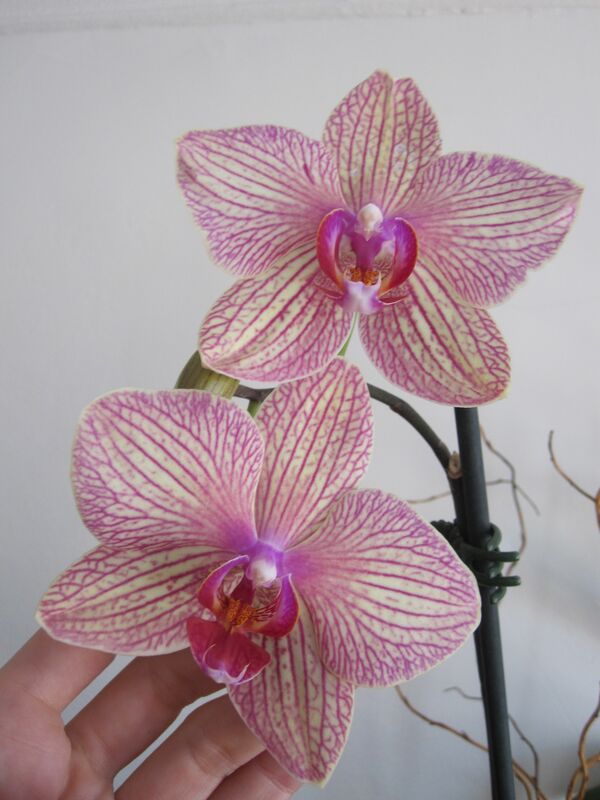 Is that a hard cane dendrobium? Does it drop all of its leaves in the winter? Whatever it is it looks very healthy. Has it bloomed for you yet? Thanks! 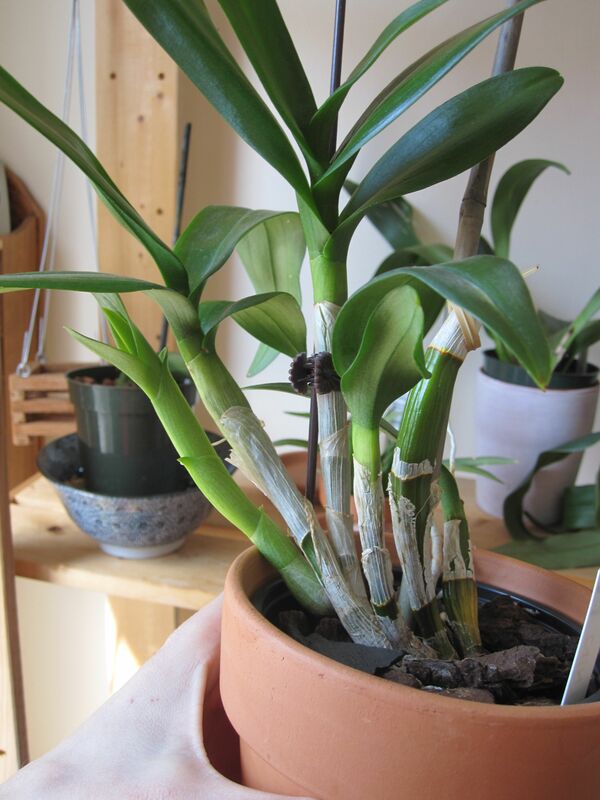 It is a hard cane dendrobium, but it keeps its leaves in winter. It was in bloom when I bought it, but hasn’t bloomed since. 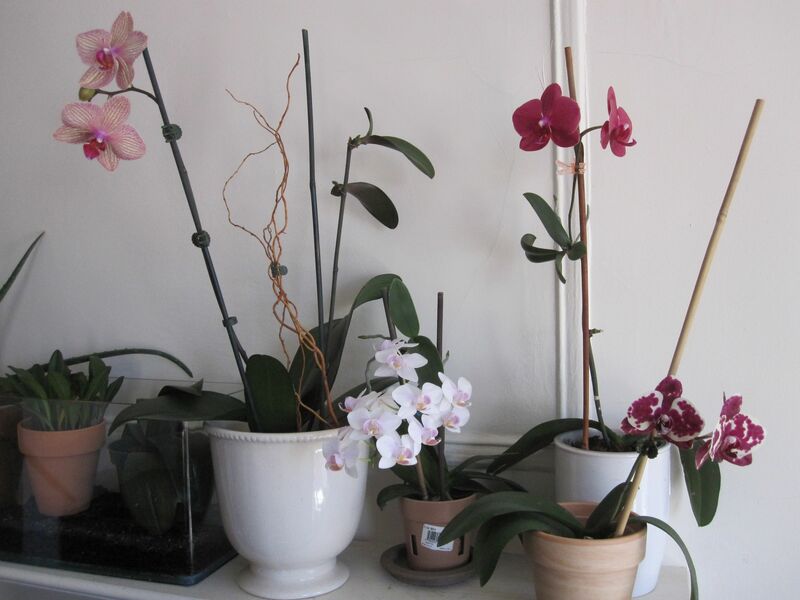 Give your dendrobiums a warm place where it can get morning or evening sun. Dendrobiums like warm places. Hopefully it will start blooming thereafter. Cheers!! 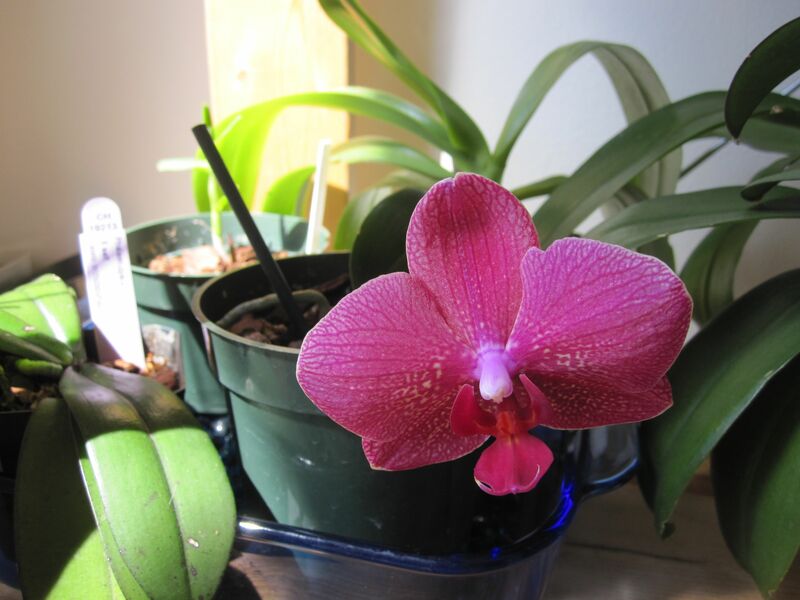 My dendrobium gets a good amount of sun, but maybe I”ll try putting it on the windowsill for awhile and see if that helps. Thanks for the tip!